Marianne and I spent some time on both the Juniata and the Susquehanna Rivers this past weekend. Again, we planned to spend some time at the beach but the weather forecast ended up being too unreliable... so we stayed at home. Sunday we rented a canoe and spent some time floating down the Juniata from Port Royal to Muskrat Springs. Fishing was a little slow, due to the dirty water conditions, but we did manage to catch a few fish. Marianne, caught 3 smallmouth bass and a fall fish and I ended up with 3 bass and a nice walleye--18 inches or so. 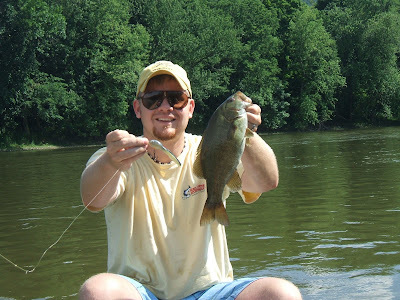 Monday I headed to the Susquehanna, with hopes of hooking up with a bass or two and maybe a walleye... 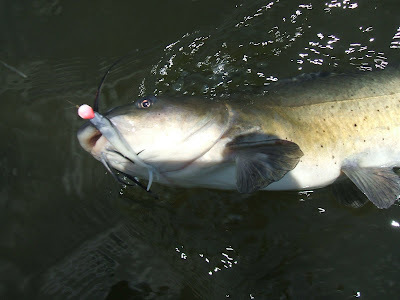 Unfortunately I struck out with the glamour species, but I did end up getting into an unexpected, but really nice, channel catfish bite. 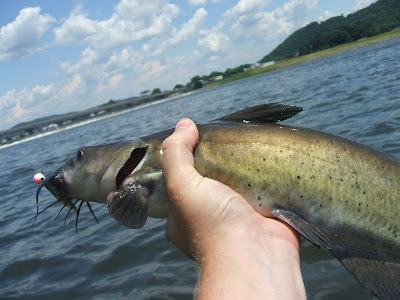 I never caught so many catties under clear, blue skies before... but I finished the afternoon with 7 fish ranging from 20 to 27 inches. The evening after my catfish adventure, Marianne came home from work and said she wanted to go fishing... I said I knew just the place and we headed out (hoping to get her hooked up to a big ole' channel cat). 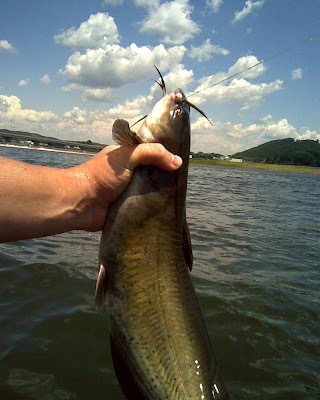 We fished hard for a couple hours and couldn't come up with a catfish... but we didn't get skunked. Marianne caught two smallmouths on her new special lure. And I lucked into a pretty little walleye and snagged a gizzard shad. If the rain holds off the next few days, I'm hoping to get back out to the dam a time or two... hopefully I'll have a good report and some more pics to share with you soon. Thanks for reading!